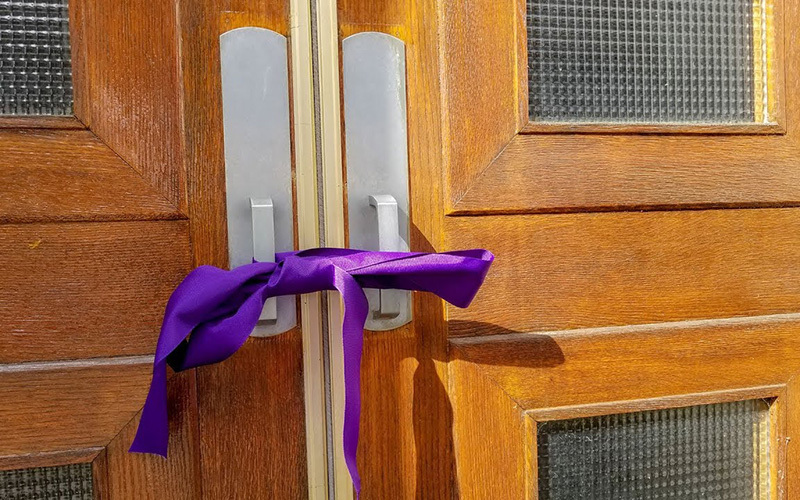 The doors of St. Vincent de Paul Church in Corning were bound shut during a Sept. 15 ceremony to mark the worship site’s permanent closure. Parishioners gathered outside to witness the ceremony and to share photos and memories of their time spent at the church. The building has been closed since June 30 in the wake of a structural mishap.